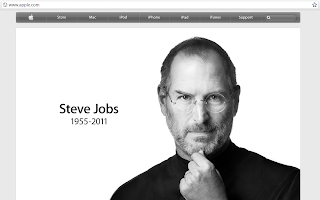 Today is the passing of Steve Jobs, a great visionary who brought us the world largest company, Apple, the most powerful mobile devices, iPhone and iPad. He will always be remembered the Father of Mobility. RIP. This is a powerful video to honor him. Its a speech by Steve at Stanford Uni in 2005 and the most powerful speech that i had watched over and over again. It sure did inspire me and changed the way i looked at life, i am sure you will find it inspiring. You got to figure out what you love and do what you love.